The Central Intelligence Agency has always had a certain mystique about it. Mention the CIA, and spies and international intrigue come to mind. Do you want to be a part of that? Consider interning with the CIA. Internships within the US government intelligence community bring competition to a new level. Not only are such positions hard to get, but the application process can also be time-consuming and difficult. Follow all directions carefully and apply well in advance. The hiring process is intense, but that should come as no surprise. The CIA internship program is located in Washington DC. You'll get paid, and it's a quite decent salary that increases incrementally with inflation. Compensation includes health insurance coverage. The CIA will pay for your transportation costs to arrive in the nation's capital and will help you find housing, but you'll have to pay for your housing yourself. CIA internships operate on something of a first-come-first-served basis. Positions aren't limitless, and applications are given consideration as they're submitted. The deadline for a general internship for the summer of 2018 was August 14, 2017, but you can expect that available positions may very well be filled by that date. The Directorate of Operations Undergraduate Internship Program is open only to college freshman, and the deadline for this program for the summers of 2018 and 2019 was March 17, 2017. Information regarding 2019 and 2020 internships will be available in December 2017. You must also pass through a clearance process before you can begin—another reason to allow plenty of time to apply well before your targeted start date. The CIA recommends that you apply nine to 12 months in advance. You must attach a cover letter, an essay, and a copy of your transcripts with your application. 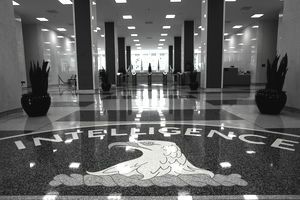 CIA interns operate within the covert arm of the CIA. They work with foreign intelligence, national security, defense, and foreign policy. The CIA encourages young people who wish to work for the CIA after college to apply. A majority of students apply during their freshman year of college for future summers. You'll serve a minimum of two work tours, typically 90 days each, but this can vary by student and internship. US citizenship. Dual US citizens are welcome, but you must live in the US. You must be interested in pursuing a career with the CIA. You must not have used illegal drugs in the last 12 months. Foreign language skills are encouraged but not required. Likewise, the previous residency in another country is a plus, but it's not a requirement.